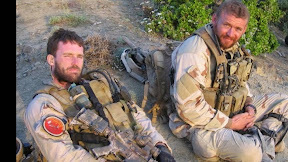 Known for reading anything he could get his hands on, it wasn’t until the son they’d assumed was studying law requested a nonfiction work about the Navy Seals that the parents of Michael P. Murphy had any idea that their son was considering a future in the field of special operations for the U.S. military. And although his father was a Vietnam veteran who’d been awarded the Purple Heart for his service and courage under fire, initially neither parent was particularly thrilled with their son’s dangerous career choice. 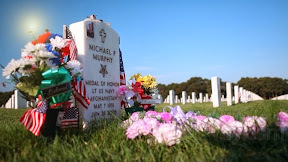 Yet at the same time a life of Seal service seemed like a natural fit for Murphy, given the fact that he not only took to water like a “water bug” and likewise relished in team-centric sports but also routinely offered protection to friends and strangers alike who were outnumbered or picked on due to his bravery, loyalty and good heart. Telling his mom that he could either sit at a desk and be unhappy for the next thirty years or go after his dreams with the same “can do” spirit he cherished in the Thomas The Tank Engine story that she had read to him as a child, Michael P. Murphy took a leap of faith, surviving the agony of Hell Week and a wicked Cellulitis infection that almost cost him a leg before heading to war. Taking the vow of secrecy regarding his missions with the utmost seriousness, he didn’t offer many details as to his whereabouts but never forgot the fallen American heroes of 9/11 whom he was fighting for, asking a friend to send a stack of fireman’s patches to his team including the one he proudly sewed on his uniform as a constant reminder as to why he was there in the first place. Yet it wasn’t until a coworker of his father’s pointed at the mountains behind Michael and his men in a photo he’d sent him told his dad that it looked like he was in Afghanistan rather than Iraq that his parents realized just how dangerous the missions Michael went on and never discussed actually were. Unfortunately, the harsh realities of the war in Afghanistan were about to be known all around the world as reports of the horrifying tragedy that occurred during Operation Red Wings made their way onto the evening news. One of the deadliest in history – the incident found four of our men pinned by the Taliban in the firefight of their life before a rescue chopper with sixteen of our soldiers was hit by a rocket propelled grenade. Out of that absolutely devastating set of events which were recently adapted into the feature film Lone Survivor based on Marcus Lutrell’s book of the same name, Lutrell found he was the only survivor when selflessly – just as he'd always done to help outnumbered men in fights or bullied kids in school – Murphy put himself in harm’s way for the good of the team. Giving up his position to find reception in plain sight and call for the backup that would never actually arrive, Murphy was gunned down by enemy fire – ever the protector he’d always been. 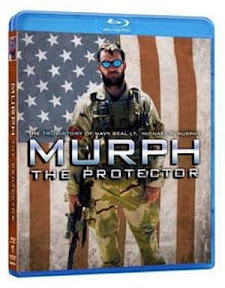 A moving documentary portrait of an exemplary human being and true blue American hero, Murph relies on the first person accounts of friends, family and military personnel among others who all offer stirring, at times funny, inspiring and celebratory memories of the man. While it’s sadly a bit light on footage featuring the deceased subject who went on to receive a posthumous Medal of Honor from President Bush as well as a Navy warship given his name, it’s nonetheless a riveting, vital account of a man who truly earned his nickname of protector. Although it isn’t incredibly well-polished, given some inefficient and downright confusing editing choices that throw viewers for a loop by suddenly breaking away from Murphy’s story to talk about an entirely different person without an ample explanation or title card clue as to who the high school student onscreen is until fairly late into the movie, these mistakes are easy to forgive. And thankfully, a few weaknesses aside, Murph remains strong as an exuberant and vital patriotic biographical documentary well-timed in its Blu-ray and DVD release to coincide with the theatrical debut of Lone Survivor.